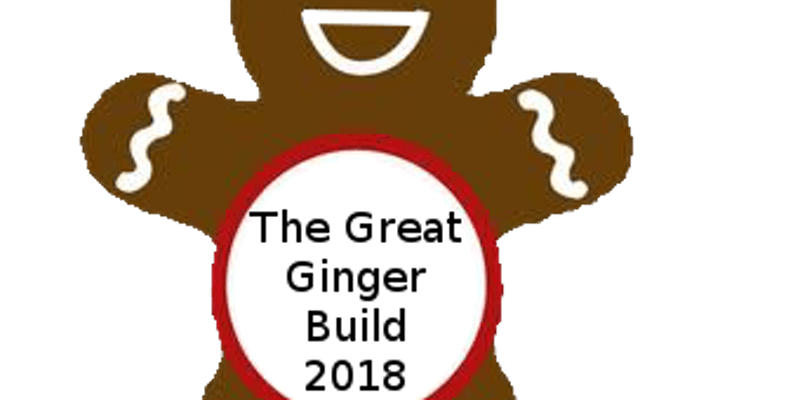 Come one and come all to The Great Ginger Build of 2018, happening on December 8, 2018, 11am - 5pm, at the Slover Library in Downtown Norfolk, where teams of Norfolk area middle school students armed with their themed "Holiday By the Sea" Ginger Build will compete for the title of The Greatest Ginger Build of 2018 and cash prizes. Students will have one month to form their team of a maximum of four, register here, plan, and build their Ginger Builds. Using concepts that they are already learning in school to create their ginger builds (Geometry, Science - Chemistry and Engineering), builds will be judged by the public as well as a special panel of judges. Students will have until December 1, 2018 to register their Ginger Builds. Event Creator and Benefitting The Helpers Organization invites the general public to view student's creation at Slover for free. To vote, one must purchase tickets at the door. $2 per ticket or $10 and get the 6th one free. Judging by the panel of five starts at 3pm, cash prizes will be awarded at 4pm, and the Ginger Build silent auction will be awarded(only if the gingerbuilder/team consents to have their creation auctioned off) at 4:15pm. Most of the Silent Auction proceeds (80%) will go back to PTA while the rest will go to The Helpers Organization. Funds raised from this event will go to The Helpers Organization's Homeless Prevention Program, where we provide assistance to the neediest of families in Hampton Roads by providing housing support, financial counseling and assistance (ie. bus tickets, hygiene items, grocery cards, etc). If you would like to sponsor this event, please contact Tina Newbury at tnewbury.thehelpers@gmail.com. We have a sponorship package ready to go, which is due by November 15th 2018. If you're interested in learning more about The Helpers Organization and/or other ways to help us, please feel free to visit our website at thehelperswillhelp.org.